Join us as we Celebrate Spring! Open to all members and friends! 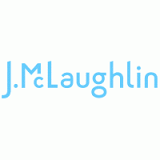 Enjoy light refreshments while you shop the Spring Collection at J. McLaughlin for men and women. 15% of sales will benefit the Junior League of Greenwich when the Junior League is mentioned April 28th – May 1st!